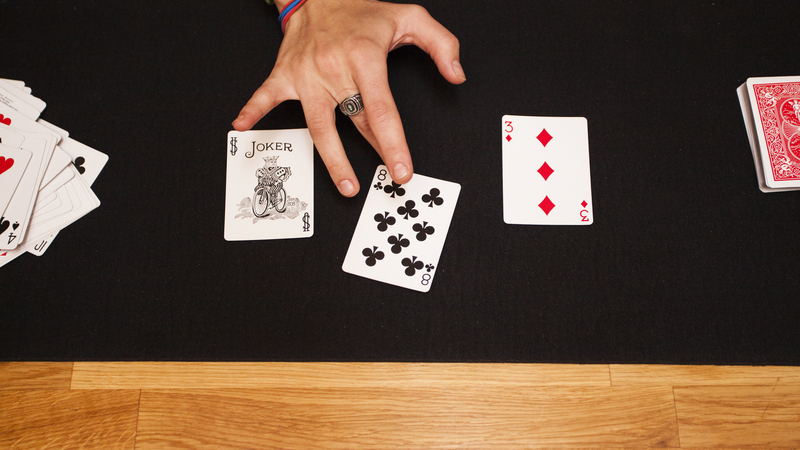 There’s no keeping secrets in a city fixated on discovering the next big thing. But Los Angeles always stretches past the horizon: Our megalopolis is so vast that the other side of the 405 feels like unfamiliar territory no matter where you are. And so, we’re turning our attention to L.A.’s superlative secrets—not necessarily its best-kept ones or the spots that will have to shutter as soon as word gets out, but the inventive finds that elude guidebooks and the itineraries of most Angelenos. 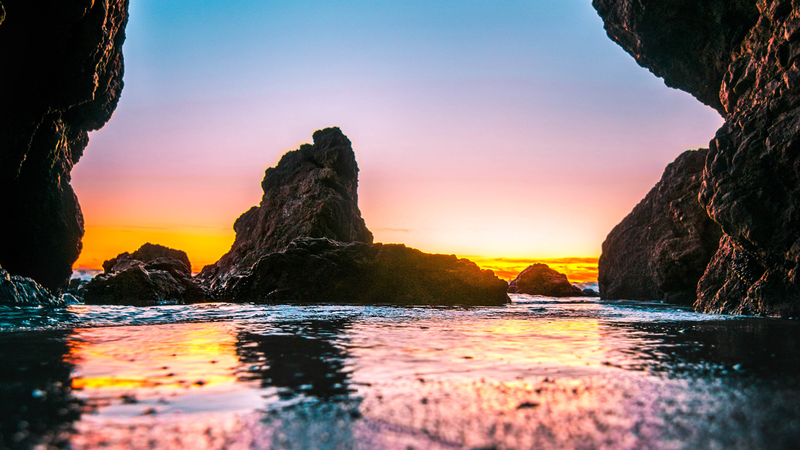 Read on for a shortcut on one L.A.’s best hikes, two hidden sushi restaurants and an underground, over-the-top supper club. 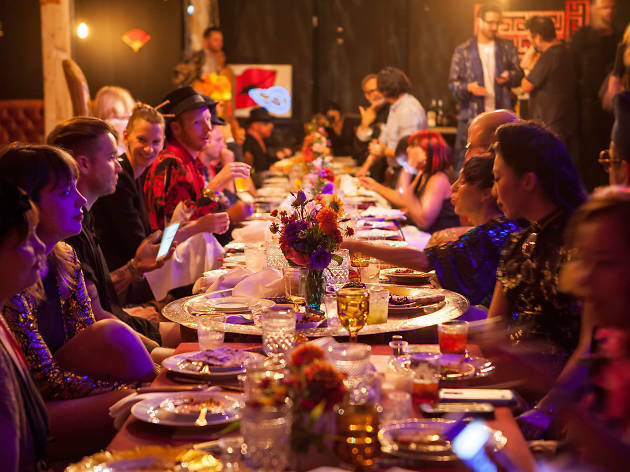 You never attended one of Salvador Dalí’s infamous dinner parties—don’t worry, our invites got lost in space and time, too—but you can more than make up for it with the Disco Dining Club. 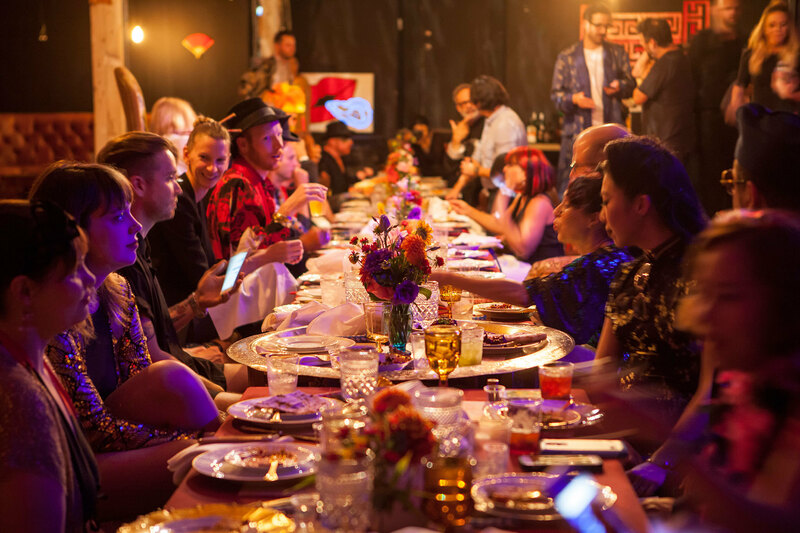 An ode to food, art, excess and getting weird, the irreverent, theatrical supper club replicates the mystique and debauchery—and especially the wild costumes and forthright sexuality—of the surrealist’s own fetes. The multicourse meal is prepped by a rotating cast of L.A. chefs, and tickets disappear faster than will your amuse-bouche. While billboards, banners and minivans pave the way to Disneyland’s world of yesterday, tomorrow and fantasy, nothing but an unassuming, mostly unmarked gravel lot leads up to the little workshop where it all began. 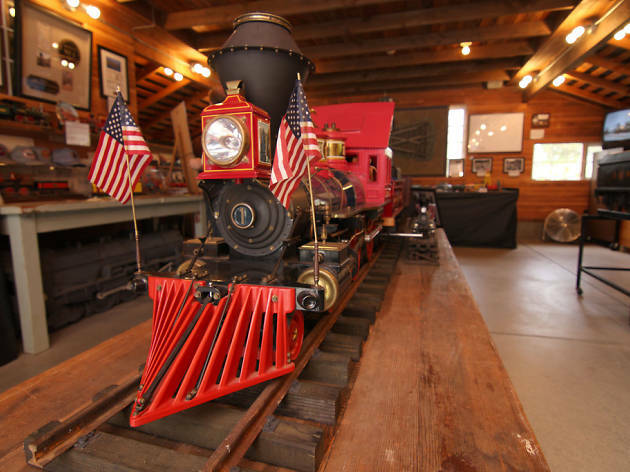 In the early 1950s, before the Anaheim theme park started to consume more of his time, Walt Disney toiled away in a rustic red barn on the Carolwood Pacific Railroad, a 1⁄8-scale model train that he built from scratch; in fact, he liked to take his family and friends for a ride on the 2,615 feet of tracks that snaked around his Carolwood Drive estate in Holmby Hills. The original shed and a bundle of its effects landed in Griffith Park in 1999, after the death of Disney’s wife, Lillian. 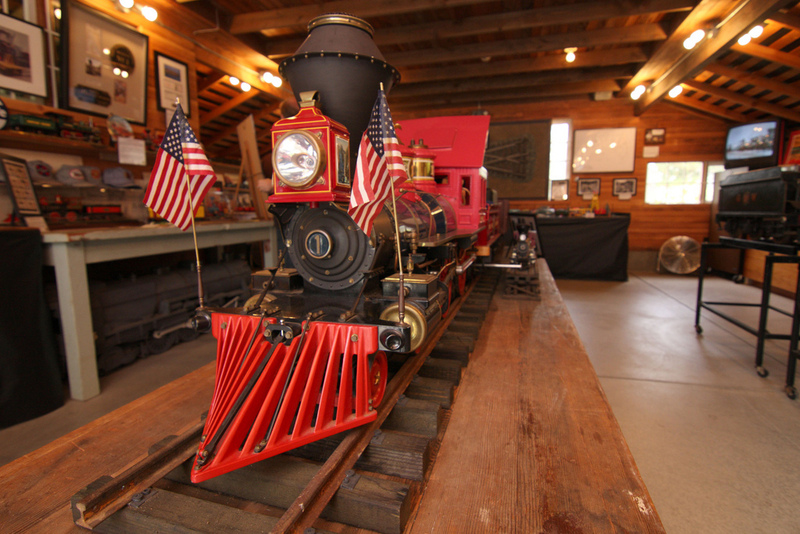 Once a month (third Sun 11am–3pm) next to the Los Angeles Live Steamers Railroad Museum, you can visit Walt’s Barn, which houses his original tools, workbench and track control board as well as Disney-themed memorabilia and historical documents. 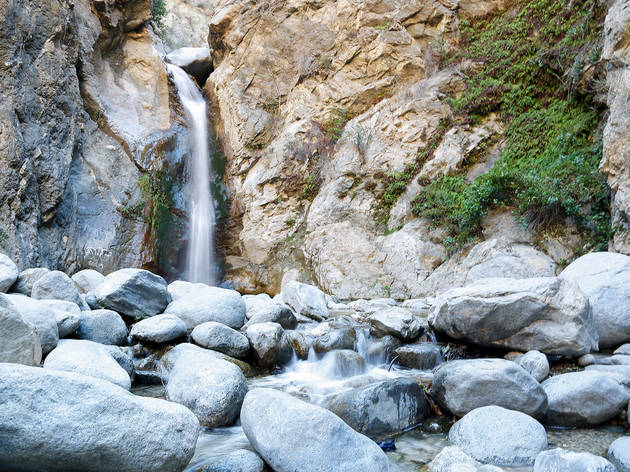 Eaton Canyon Falls is far from unknown, judging by the trail of ever-present graffiti that abuts the otherwise stunning waterfall. Expedite your access to the site via a covert entrance that cuts a mile from each way of the path’s dustiest, sunniest and dullest expanse. Chart a course for Pinecrest Drive, where barbed wire and bright-yellow danger signs would have you believe you’re in the wrong place. But ease up to the fence to spot a sliver of a gate that’s swung open until sunset. Follow the footway down the hill and you’ll find yourself on a shaded, creek-tracing homestretch to the waterfall. A slight wrinkle: Parking is available on Pinecrest only on weekdays, for a maximum of two hours—but that’s double the length of time that you’ll need to trek to the falls and back. No, it’s not the Magic Castle. 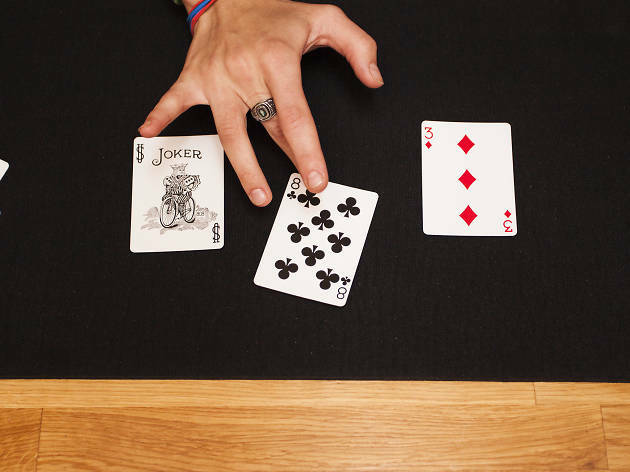 It’s Magic Bar, hidden in an Encino strip mall, where you can witness some sleight of hand by some of the city’s most entertaining magicians two nights a week. 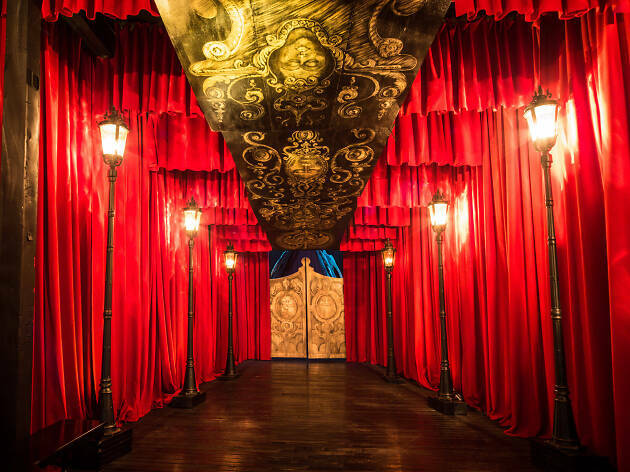 On Mondays and Tuesdays, head upstairs into gastropub Woodley Proper and enter the unmarked sliding wood door to find up-close magic tricks (performed by Magic Castle headliners, no less). It’s part of a nesting-egg concept from Top Chef’s Phillip Frankland Lee, who converted his restaurant’s postage-stamp-size private dining room into not only the full-blown magic salon but also Sushi Bar, one of our favorite omakases. To get there, take the mall’s escalator to the second floor, look for a tiny brass plaque and ring the doorbell. You’ll be ushered into an intimate bar for a welcome cocktail, then led through the kitchen to the eight-seat sushi counter. 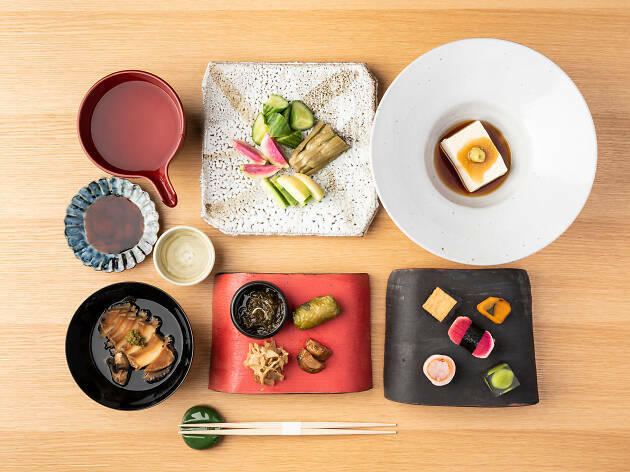 From Wednesday to Sunday, this is where you’ll find modern, decadent nigiri like truffle-topped chutoro, hamachi with sweet-corn pudding, and torched bone marrow. Seats disappear fast at both concepts, so online reservations are a must. 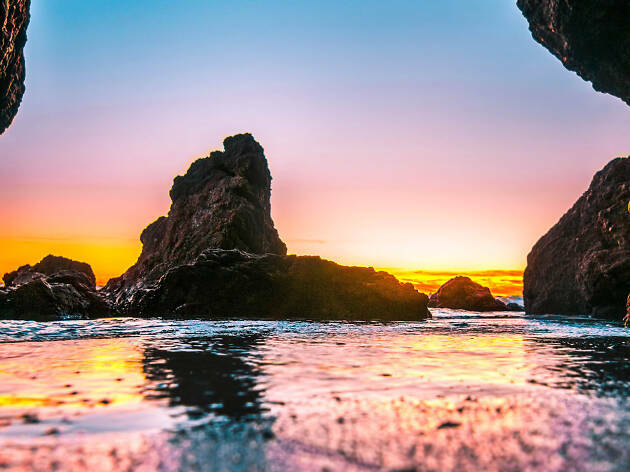 Escape the Hollywood madness with a hidden trip to Japan You’ve dodged the tourists outside the Chinese Theatre and sidestepped the photo op with the faux Avengers team: You need a little serenity—now. Fortunately, international Japanese cultural center Japan House just landed in the Hollywood & Highland complex with a handful of charming (and free!) concepts that are scattered throughout the shopping mall. Stroll through the gift shop for handmade ceramics and tempting curios, then make your way to the gallery for rotating art exhibitions. Three floors up, hidden in a crevice at the front of the mall, is a sleek public reading room that boasts more than 400 books about Japan, plus an adjacent event space for ticketed programming. But around the corner is the gem of them all: Inn Ann (direct translation: “hidden retreat”), an intimate, traditional kaiseki restaurant and sushi bar that overlooks the tourist-choked mania of Hollywood Boulevard; here, executive chef Morihiro Onodera (West L.A.’s Mori Sushi) slices fresh, seasonal fish into artful arrangements and even does so tableside via a roving sushi cart. 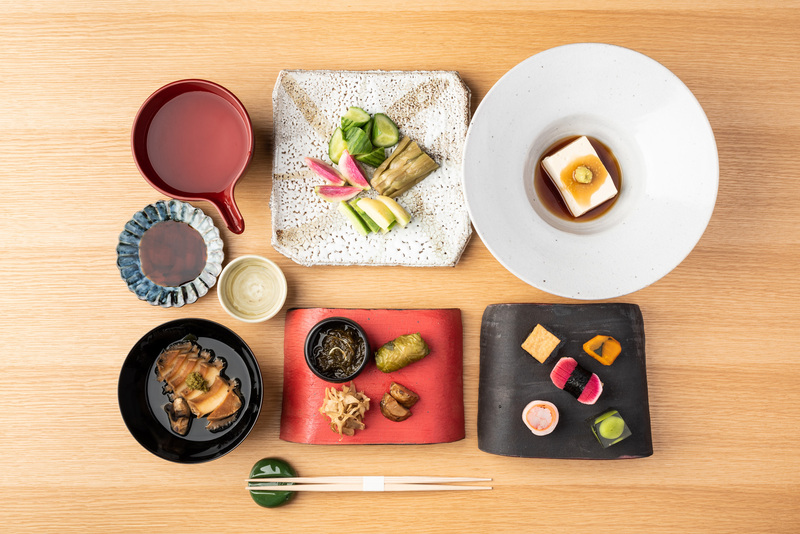 If the setting and eats aren’t enough to calm you, the extensive sake menu should do the trick. Itadakimasu. 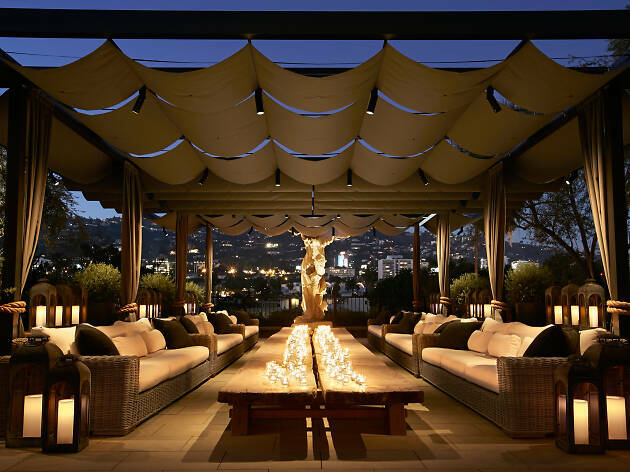 West Hollywood is well stocked with spectacular rooftop views—that is, if you can shell out for brunch, drinks or an overnight stay. But for seekers of alfresco views who’ve blown their entire budget on parking alone, try Restoration Hardware (yes, the upscale contemporary furniture chain). Venture upstairs at its Melrose location and you’ll happen upon an open- air patio that’s a perfect spot for some R&R—you know, after all of that decor shopping. 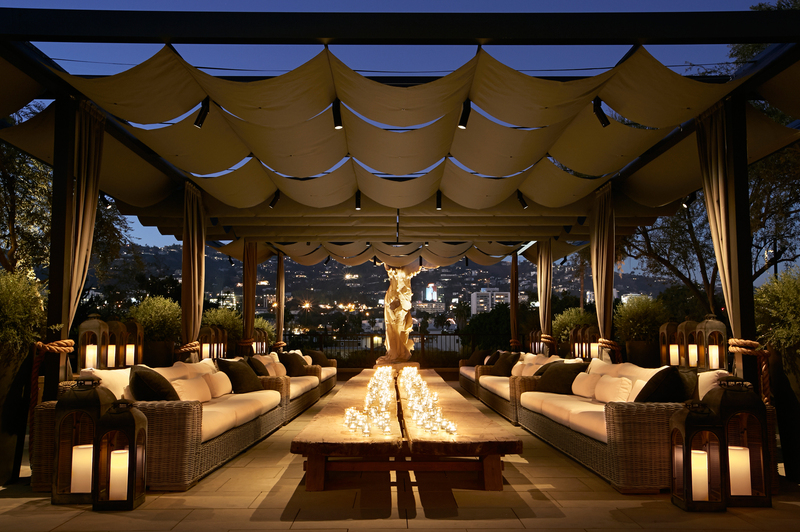 Grab a comfy seat under a canopy of twinkle-light–wrapped olive trees and survey L.A.’s poshest hillsides. To be clear, as a privately owned store, RH’s rooftop isn’t quite a public park, so don’t pack a picnic. But if we were to stroll up there with, say, a cup of coffee from Alfred and a magazine to flip through, well it just seems like an ideal place to...research our new patio-furnishing plans. 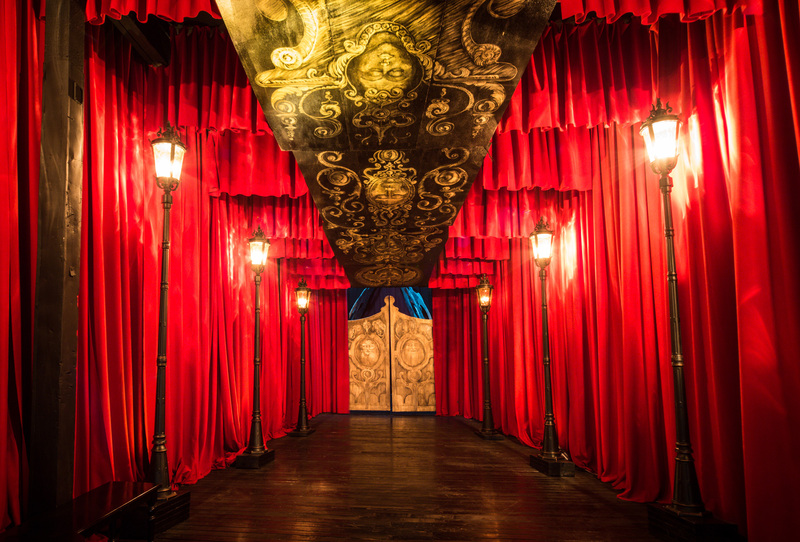 “You’re not going to find any other venue where people from a train are waving to you when you play onstage,” says Scott Bauer of promoter Kensington Presents. 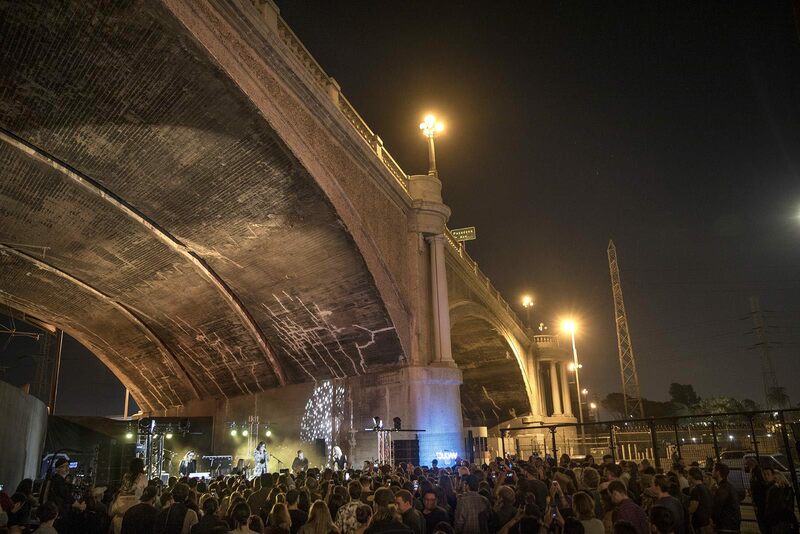 But that unique charm is standard for performers and attendees alike at The Viaduct, the pop-up venue that sits underneath an arched span of Broadway, right next to the Gold line at the northeast edge of Los Angeles State Historic Park. For the past few years, Kensington has been producing gigs and film screenings there; like magic, an industrial cul-de-sac transforms into an easygoing party with all the accoutrements of a backyard barbecue. Founder Mathieu Young and his friend Micah Greenberg began five years ago by holding concerts on an Angelino Heights front porch. Then, because LASHP was still under construction, the partners received California State Parks’ blessing to program the space, in 2015, with a screening of The Passion of Joan of Arc (1928), complete with a live score. You’re as likely to see sets from theater-filling acts like Børns and the Crystal Method at the Viaduct as you are roots ensemble the Dustbowl Revival, disco songstress Gavin Turek and other local acts. 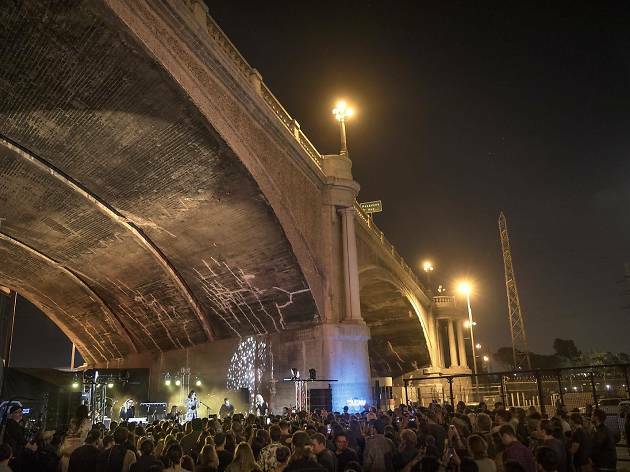 California State Parks plans to bump up the venue’s capacity (to more than 900 people from about 700) while Kensington will ramp up the ambition of its programming for a series that will stage one or two shows per month during L.A.’s lengthy summer season. In the meantime, Kensington is bringing that same out-of-the-club vibe to the backyard of Highland Park’s York Manor on every third Thursday through May. The Arts District is a maze of brick warehouses, but look for the one splashed with a mural of a woman in a top hat and you’ll find Lost Spirits Distillery, a bizarre booze experience that offers whimsy at every turn. As kitschy as it is scientific, the reservation-only distillery tour feels like a theme park, beginning with a chatty computer system, Tessa, who introduces the journey in the velvet-draped entry hall. Before you know it, you’re sampling high- octane rum and climbing aboard a raft, which floats you down a river that’s actually part of the distillery’s cooling system. 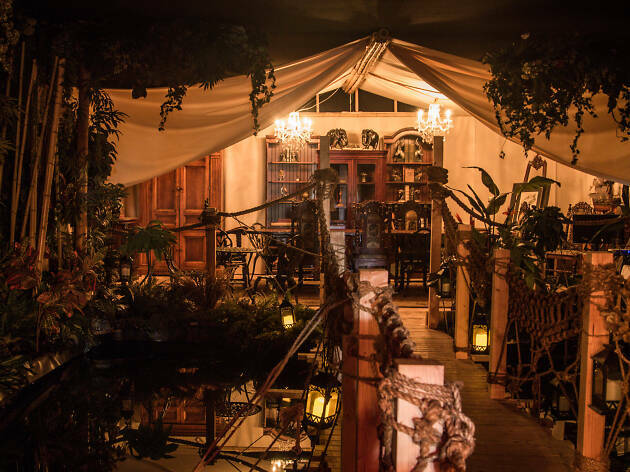 You’ll trek through jungles (rooms and halls lush with potted plants), hop on a time-travel merry-go-round (a dizzying floating platform) and visit the Island of Dr. Moreau (an H.G. Wells–inspired hideout), all while learning about—and tasting—the mad science of Lost Spirits’ process: a combination of heat, bright light and various wood chips that simulate (and expedite) the traditional barrel-aging process for rum, brandy and whiskey. The talking birds in the gift shop will try to sell you a few bottles, and, honestly, how can you say no to a talking bird? 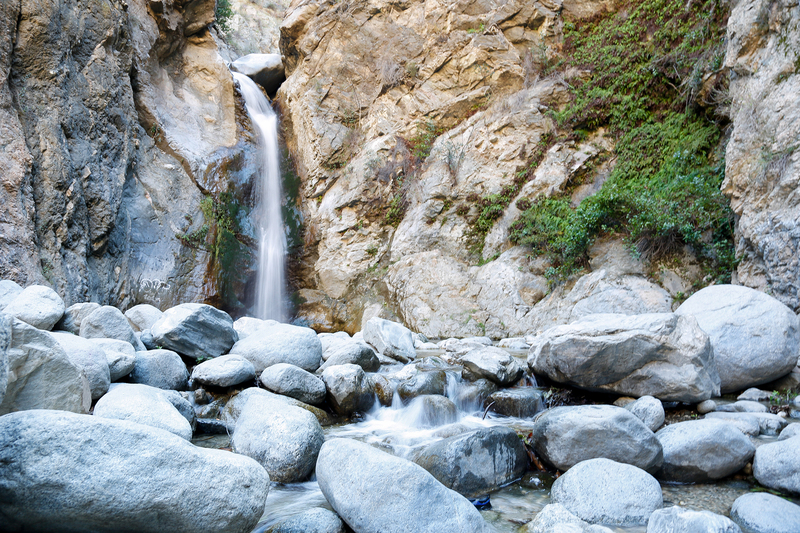 The five worst-kept secrets in L.A.
Angelenos have name-checked these spots so much that they’re anything but unknown. We still kinda love them anyway.